‘My Sisters And Me’ is the latest book by Lisa Dickenson. When Willow Lake asks her daughters for help renovating the family home, each has a reason to hesitate about returning to Maplewood. For quiet and bookish Emmy going back to the town that ridiculed her fills her with dread. The youngest Noelle is perfectly comfortable in herself now, but once wanted to fit in so badly that she walked away from her first love. A first love who still lives in Maplewood. And outspoken Rae is painfully aware of how much the townspeople hurt her little sisters growing up. She didn’t protect them then, but there’s no way she’ll let history repeat itself. The sisters agree to go home and make the best of it. After all if they’ve changed over the years, it’s possible the townspeople have too. ‘My Sisters And Me’ is a fun and playful book that really makes for entertaining reading. It’s seen through the perspective of three sisters, Emmy, Noelle and Rae as they take on the hard task of returning home and sorting out all their childhood memories. As they return to their old town, old memories are stirred up bringing up some happy feelings of nostalgia as they remember growing up and reconnecting with old friends. But for the sisters, who lived in the middle of the woods during the era of ‘The Blair Witch Project’, they were seen as weirdos with hippy parents. This led to years of abuse and ridicule and when the women returned home, thought that opinions would have changed. But it, seems that even though they have moved on and grown up, the town is still stuck in the past and have kept their opinions. As well, as having to deal with the small minded townsfolk, the sisters have their own issues to deal with. As Emmy, the baby of the trio, is an intelligent young woman who dreams of one day going to space becomes awkward when her first, unknown love enters her life, whilst Noelle has embraced her sexuality and wants to repair old bridges and outspoken Rae wants to tell everyone what she really thinks of them. 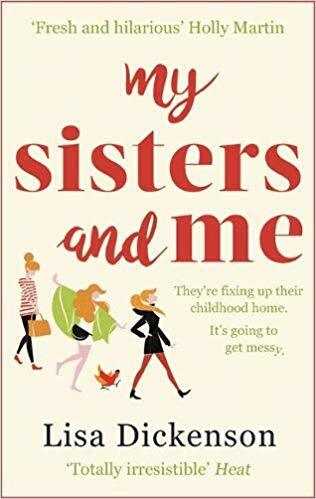 An uplifting story about the strong bond of the sisterhood and putting old ghosts to rest, ‘My Sisters And Me’ is a witty and heartwarming story about love and friendship, that will have you giggling throughout at the funny characters and hilarious situations. You can buy My Sisters And Me from Amazon and is available to buy from good bookshops. Carole Matthews’ is back with a new book called ‘Million Love Songs’. After splitting up with her cheating husband, Ruby Brown is ready for a change. She’s single for the first time in years and she’s going to dive into this brave new world with a smile on her face and a spring in her step. The last thing she’s looking for is another serious relationship. Mason represents everything Ruby wants right now: he’s charming, smooth, and perfect for some no-strings-attached fun, yet Ruby can’t help feel that something is missing. Joe on the other hand is kind, attentive and good-looking, but comes with the sort of baggage Ruby wants to avoid: an annoyingly attractive ex-wife and two teenage children. Ruby soon has some very tough decisions to make. Is she even ready for a relationship? Ruby may think she knows what she wants, is that what she needs to be truly happy? 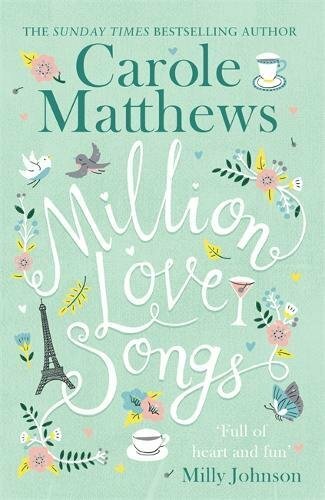 ‘Million Love Songs is the latest book by the Carole Matthews and it’s impossible to read this book without a Take That soundtrack racing through your mind. In this story, we meet Ruby Brown, downtrodden after her divorce, she’s making a change, new job, new house, new car and potentially two new men, but both men come with baggage, leaving Ruby uncertain about her future. I genuinely loved Ruby, she’s such a warm and bubbly character. 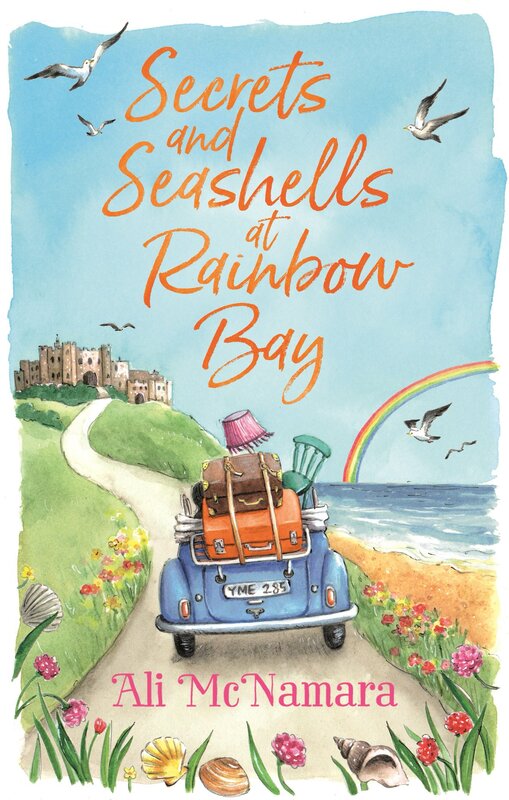 Carole has a lovely skill of creating genuine, relatable and heartwarming characters, that the reader can make a connection with and Ruby is no different. 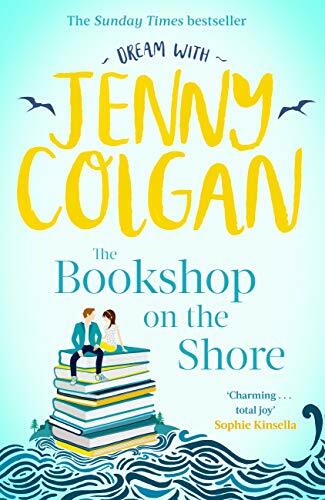 Having come out of a bad relationship, she’s enjoying putting herself first for a change, learning a new skill and so she decides to take up scuba-diving and this is where she meets the handsome Joe, a welcome distraction from life and whilst in her new job as a waitress, she meets Mason, her boss. Her outspoken, best friend and colleague Charlie has already warned Ruby of Mason’s reputation as a bit of a lothario, but Ruby can’t seem to say no to Mason’s handsome looks and charm. Caught in the middle of this triangle, Ruby is torn between both men but she’s fortunate that she has Charlie on hand, who helps her through her dramas, with not only her wit and banter, but her obsession with Gary Barlow, which is wonderfully entertaining. 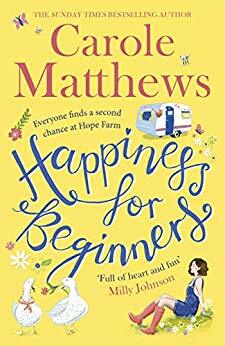 Delicious from the first page, ‘Million Love Songs’ is warm and witty, love story about new beginnings, new adventures and never forgetting where you’re coming from. A splendid read! You can buy Million Love Songs from Amazon and is available to buy from good bookshops.